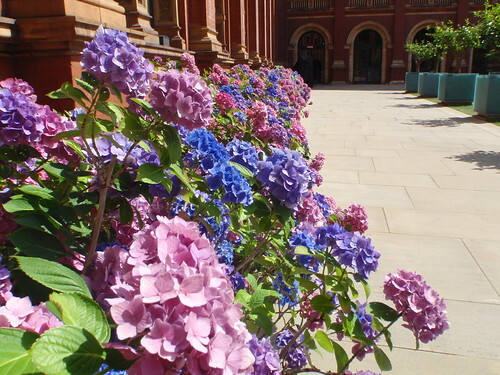 Stretched out in the sunshine on the grass in the courtyard at the V&A, in the sunshine, admiring these flowers and finishing my book. It has turned decidedly nippy this week and I am so very tired; I spent two days in Sheffield doing a first aid course so it sort of feels like I had an extra weekend, but it was a full on weekend, and I drank a lot of wine. This was a glorious day - my first at the V&A; I went to the Grace Kelly exhibit. It was July 2010 and I was in London for the Google thing. That does not feel like four and a half years ago.